We know theres just not enough time in the day especially for those who work. Thats why we are now open earlier and for longer! 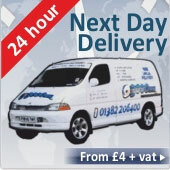 With a full team of dedicated staff around the clock, theres plenty of time to purchase items or hand in a computer. Below are our opening times. For directions on where to find us please click here. Please note times above do not account for bank or major holidays. We are open on all Bank holidays from 9am-5pm. We are closed on December 25th / 26th and January 1st / 2nd.